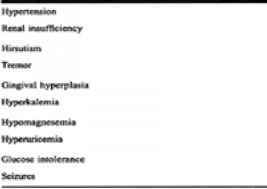 Commonly encountered side effects of cyclosporine are listed in Table 56:3. 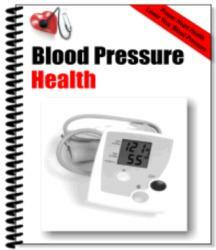 Hypertension occurs in the majority of patients and frequently requires combination therapy to achieve adequate control. Renal insufficiency is also quite common and is mediated at least in part by the vasoconstrictive effects of cyclosporine on the proximal renal tubule. Management of cyclosporine-induced renal insufficiency requires careful monitoring, because worsening renal insufficiency results in elevated cyclosporine levels, leading to more renal dysfunction, thus creating a vicious cycle. Although early renal insufficiency is frequently reversible, some patients have developed end-stage renal disease requiring dialysis or renal transplantation.